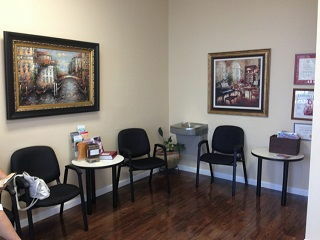 Appointments We know you have many choices when choosing a Dentist in Lake Worth, FL so we have made requesting an appointment a simple process via our website. If, for any reason you cannot keep a scheduled appointment, or will be delayed, please call us as soon as possible. 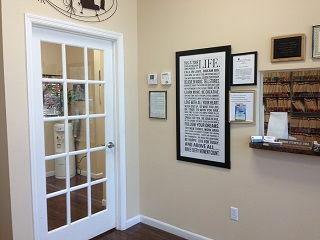 Insurance and Billing We accept most traditional insurance plans, contact our office to verify acceptance of your plan. 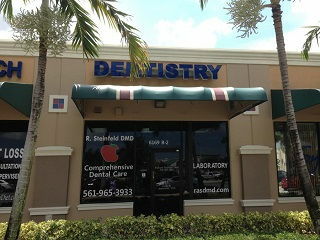 Richard A Steinfeld, DMD does not participate in Health Management Organizations; however, we will be happy to file your insurance claims for you. Please see our Financial Coordinator for details. Payment Options We accept Visa, Mastercard, Discover, checks, and debit. We also have financing available. Fees and Insurance Emergencies: When you come into our office because of an emergency situation, our main goal will be to alleviate the pain and discomfort you are feeling. We may be able to start a more definitive treatment at the time of your visit, do a palliative service, medicate you if necessary and ask you to come back to start your treatment. After the emergency has been solved, we will develop a treatment plan, if you need one, and put you on a re-care-maintenance schedule. Cleaning: Our prophylaxis appointment for new patients is designed, not only to clean your teeth, but to also give us and idea of what’s going on in your overall oral health. We will take some X-rays, have our hygienist do a cleaning and evaluation of your gums and tissue and then you will see Dr. Steinfeld for a thorough comprehensive exam. After his evaluation is completed, he will create a customized treatment plan to suit your every dental need. Comprehensive Oral Exam: As the name very well states, Dr. Steinfeld will perform a comprehensive oral exam and X-rays on this type of visit. With those elements in hand he will be able to make a true assessment of your oral health. This exam combined with the X-rays, will give the doctor the opportunity to develop a battle plan, if needed, analyze your smile features, address your concerns and answer your questions. After this examination is completed, we will discuss the finances, insurance benefits and other questions you have in mind to help you make an informed decision and budget your treatment plan.